All homeowners encounter slow or clogged sewers and drains at some point. Materials often get stuck in drains and toilets, while grease, minerals and other debris can build up in your pipes over time. When it comes to slow or clogged lines, there are a number of methods that can be used to fix the problem, but nothing compares to hydro jetting. One of the most efficient ways of clearing out years of built up grease, hair, mineral build up, and years of other debris collected along the the inside lining of the pipes. With the power of a high pressure hose with a specialized nozzles- the machine creates a powerful stream of pressurized water that clears the drain. It can remove clogs that can’t be removed by snaking pipes such as tree roots, heavy grease, mineral build, etc. The best part is that it can be done in just a few hours and is an affordable option to clearing out pipes. Please call us now at (786) 322-4600 to order our sewer jetting service. There are multiple advantages to sewer line jetting. Call us today. 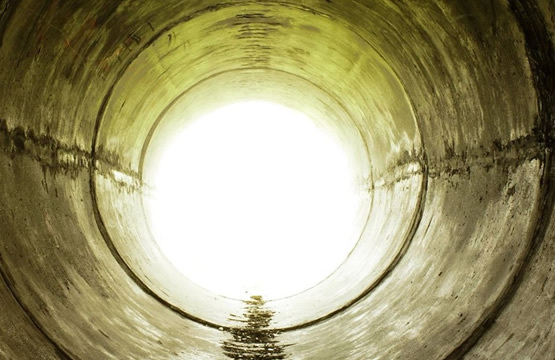 Here are some reasons why you should choode sewer line jetting to clean out your pipes. 1. It’s Efficient, helpful and valuable. Hydro jetting is extremely effective because it fully clears the line, removing all traces of debris and build up that occurs on the sides of the pipe. Traditional methods like snaking can remove the blockage, but they still leave residue on the walls of the pipe. Although hydro jetting costs a bit more than snaking or rooter techniques, in the long run it will save you money. Jetting clears the entire pipe, eliminating future service calls. Hydro jetting is also very efficient because it, often takes less time than traditional methods. There is a chance of debris and sewage coming into contact not only with the worker, but also with the home and surrounding environment when using the traditional methods. The speed of hydro jetting means less time and less contact with contaminants. It is therefore more sanitary. In comparison to the chemical and procedures involved in traditional methods of clearing sewers, hydro jetting is much more environmentally-friendly. Some people might consider the amount of water used in hydro jetting as a waste, therby hurting the environment, but it is not. It’s even safe for homes and buildings located near water sources such as rivers, ponds and lakes. Hydro jetting is not only for commercial jobs, but it’s just as useful for residential plumbing issues. It is a versatile procedure and works on big and small jobs. It can handle a home clog that can’t be removed by snaking, such as a sludge and grease build up. Please call us now at (786) 322-4600 to order our sewer/plumbing jetting service.